November 2017 - Adelaide Central Market: The City of Adelaide's premier food destination. Over 70 traders under one roof. Please welcome our next Produce in Residence.. Les Deux Coqs! Please welcome our next Produce in Residence.. Les Deux Coqs! Specialising in traditionally crafted French fare made in South Australia without preservatives or additives. Choose from their range of rillettes (pork, roast chicken or sardines), terrines (country, mustard, pastris or chilli), tapenades (black olives, green olive, capsicum or eggplant), saucissons (traditional, pastis, herb, chilli), and sweet spreads (lemon or salted caramel). 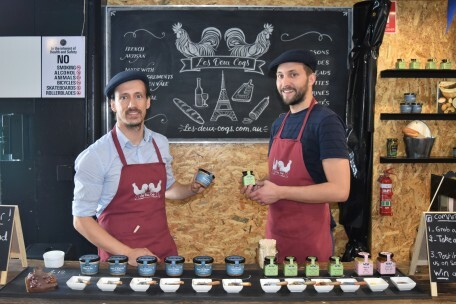 Find Le Deux Coqs at the Producer in Residence Stall on Market days ‘til 16 December (next to O’Connell’s Meats). Kick back on Fridays in December and soak up the festive atmosphere at the Market! 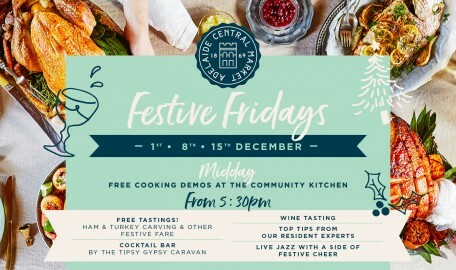 Hams will be carved, turkeys will be basted and our resident experts will be offering up their top tips alongside tastings of perfect puddings, smelly cheeses and gourmet delights. Pop up bar the Tipsy Gypsy Caravan will be serving the Market’s own signature Christmas cocktail alongside local boutique sparkling wine and craft beer. You can also indulge in Friday night favourites including Marino’s porchetta panini, freshly shucked oysters from Samtass, Market Bread Bar crepes or Comida’s famed paella. Add in a side of jazz and swing by the Lou Blackwell Quartet and Bird Lives and you’ll be truly inspired for a Market Christmas! It’s Food Safety Week! SA Health Food Safety Ambassador Adam Liaw reminds us that good food safety practices are essential in any kitchen to prevent contamination. 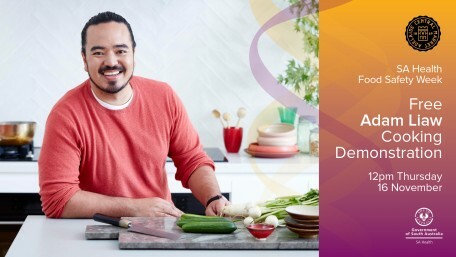 Don’t miss this rare opportunity to see Adam Liaw live at the Community Kitchen as he demonstrates his chicken and egg udon salad, using fresh market ingredients. 12PM, Thursday 16 November at the Community Kitchen – FREE!